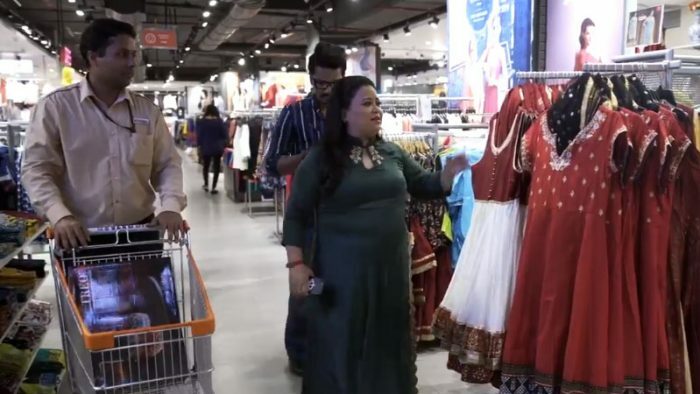 Big Bazaar has launched their new video featuring celebrities Bharti Singh and Harsh Limbachiyaa to promote their latest service Shaadi Shopping Assistant. Banking on the much talked Bharti and Harsh’s wedding, the video featuring the duo, highlights how Big Bazaar’s new service – Shaadi Shopping Assistant helps people in their marriage shopping. 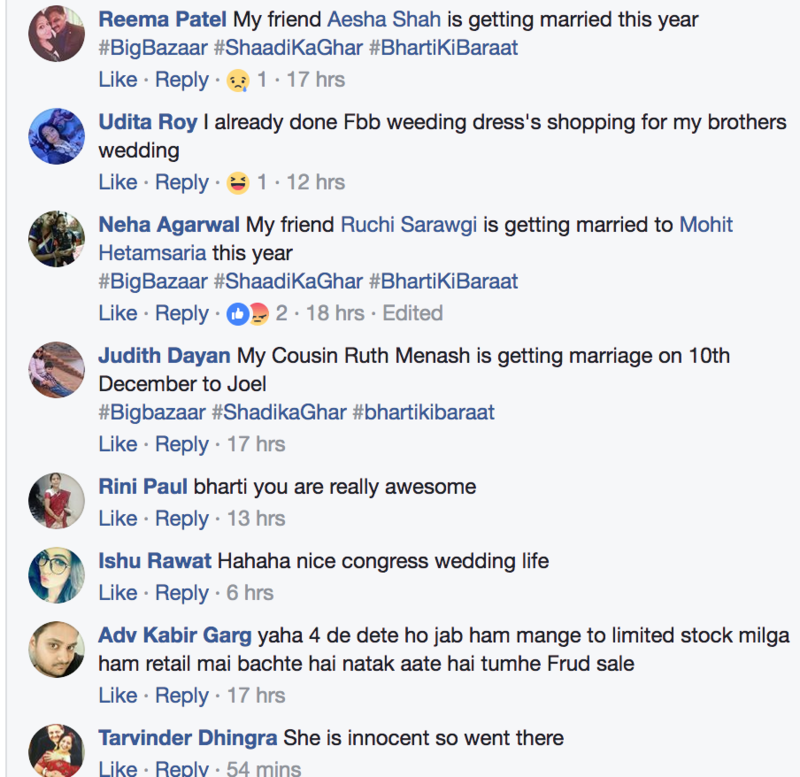 The Shaadi Shopping Big Bazaar campaign has been doing rounds on social media since its release. 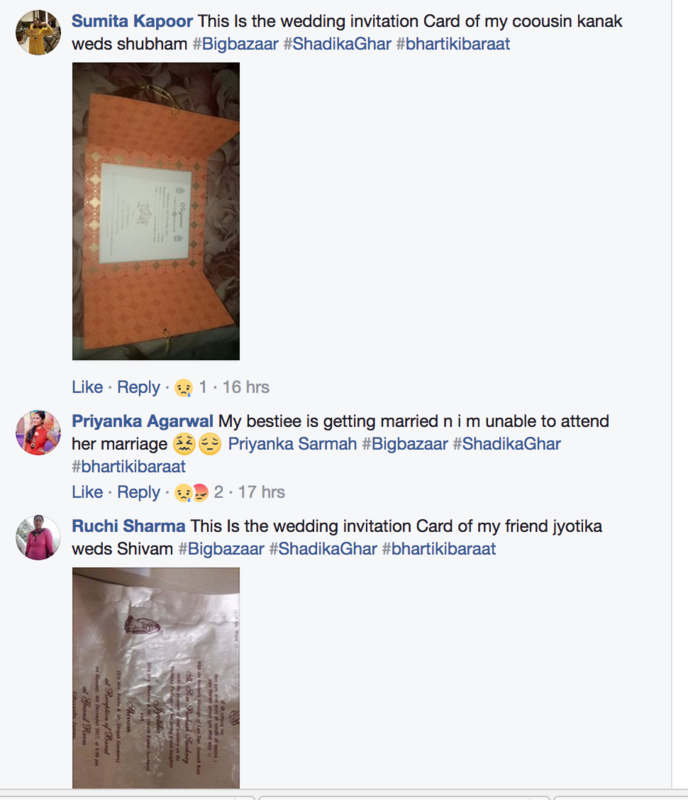 In addition to the video, the brand ran a contest, where they asked people to tag their friends (using #BigBazaar #ShaadiKaGhar #BhartiKiBaraat) who are getting married and Big Bazaar has a special surprise for them. 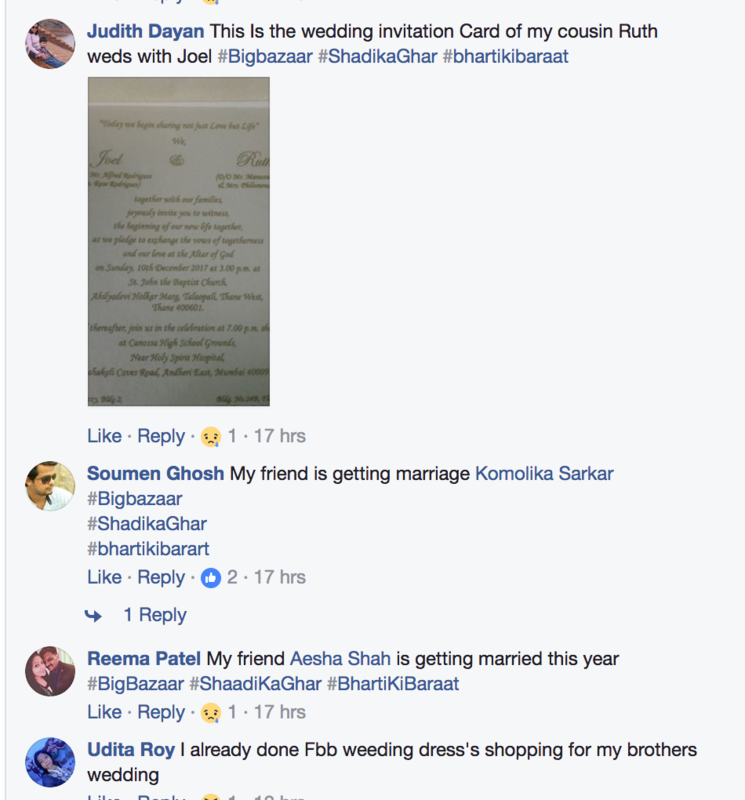 The Shaadi Shopping campaign has garnered over 55k reactions, 3.6k shares, and 2.4 million views on Big Bazaar’s official Facebook page (at the time of filing the report). Would you like us to review Shaadi Shopping Big Bazaar campaign? Let us know in the comments section below or write to us at team@socialsamosa.com.